The sans part has since been rectified. 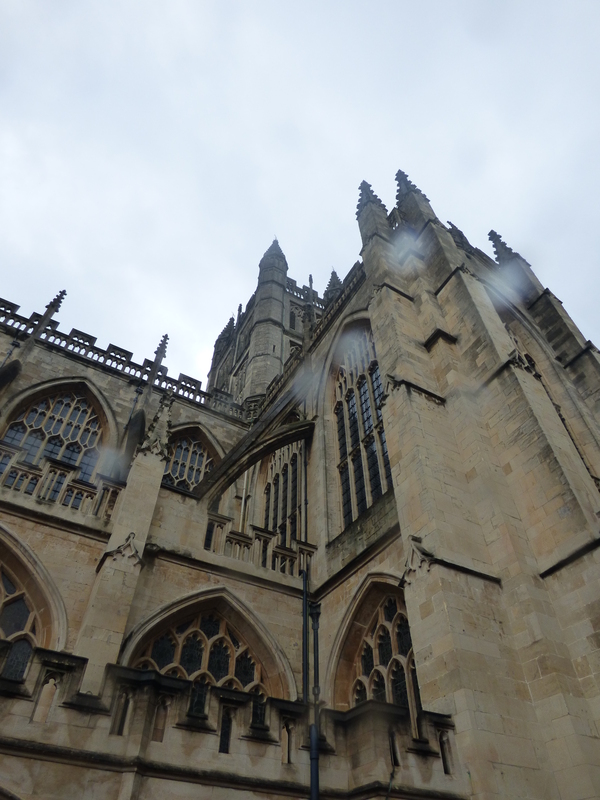 Yesterday we were in Bath. Lovely place. There was an art gallery that was on the bit of the odd side but then we like odd. 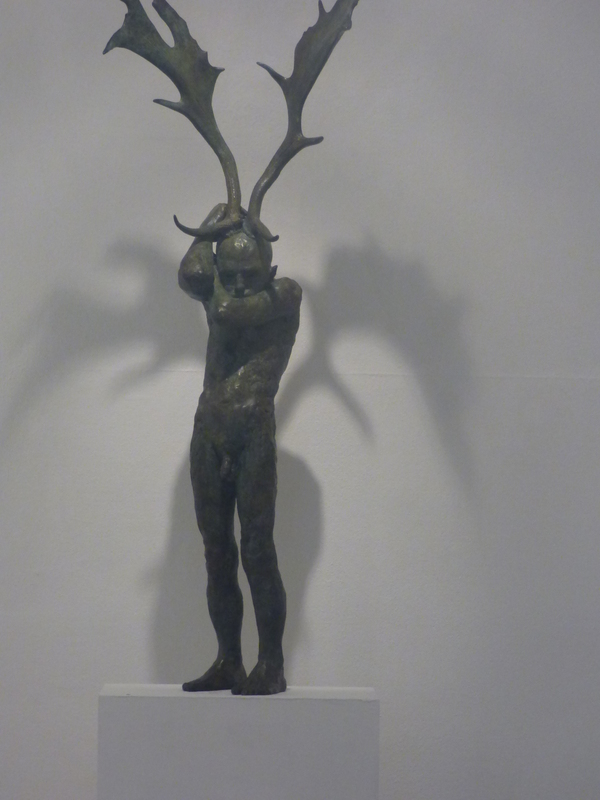 The Herne sculpture was awesome, especially since the deer rack’s shadow cast down as wings on the wall. Went to the Ale House on the corner of the square. Absolutely adorable bar man there and we got lunch. I got a meat pie, the rest of the Five got chili. Really. Chili. I am judging so hard. *grins* To be fair, we also got a plate of nachos to share. I have to make actual guacamole for them. But it was nice. No mushy peas for me. Minty or otherwise. The Abbey itself was gorgeous. Took a lot of inside pix there. I’ll post those out in a bit. I’m doing this blog post on the fly before we had over to Oxford. We walked about a bit, looked at the Roman Bath building but the queue was huge. They were processing tour groups through so it was chaotic. Tried to take tea in a tea room. 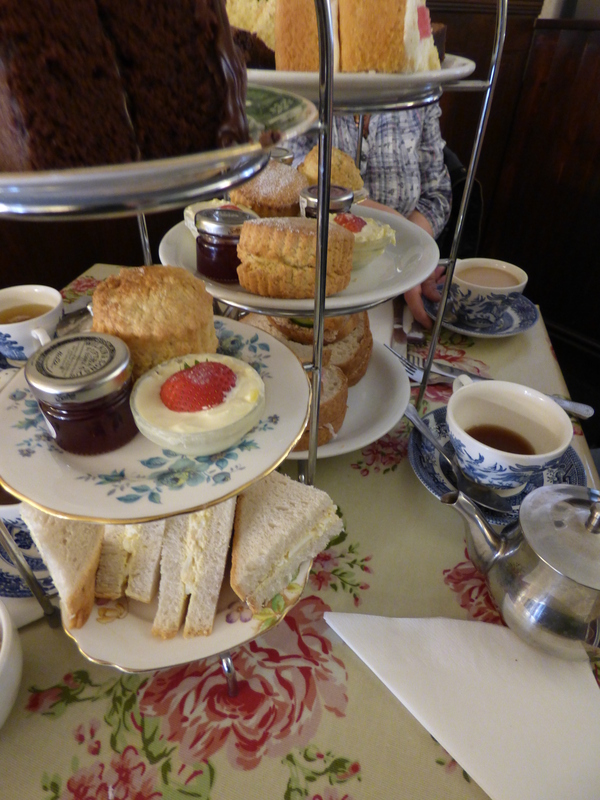 Got shunted around to their other tea room then ended up in the front room and they put us at a table above the others. Soooo much food. Ended up taking the cake home. Hope everyone’s doing well. I’ve got to start plotting Kai out and then just going for it. I’ve got some inklings of what I want. Right now, I have coffee and Halle the Cairn is keeping me company. The pic of the building has fuzzy dots!!! Now, is that rain? It seems odd that they are placed like that. Very ghostly!! They were nice. The Sarnies. Creamy.. Needed salt and pepper. Real English tea sounds wonderful! Wish I was there to partake. What a sculpture! And your treats! I have become a new fan of minty peas, here a new diner has opened, the owner/chef is from India, the exact town where I once lived. I hope you loved your meat pie, they are glorious, simple and Comforting. The meat pie was lovely. 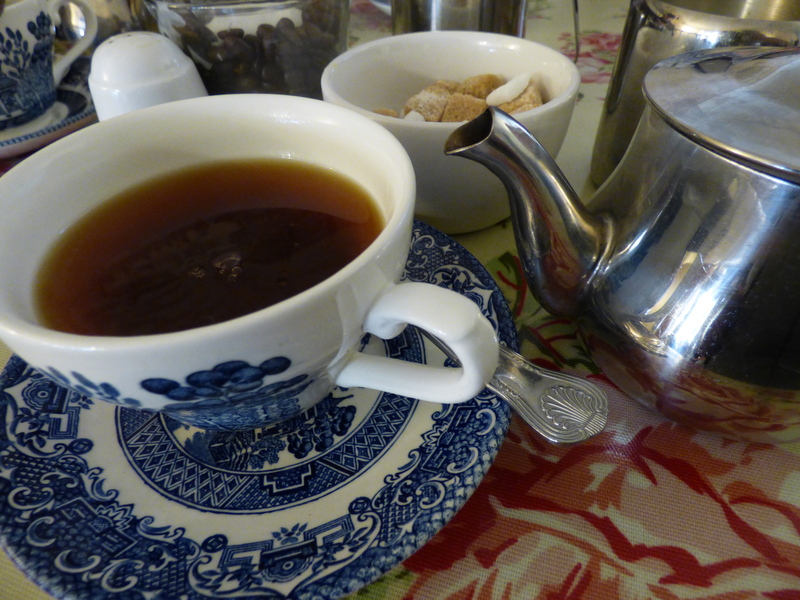 I so want an English tea now! As a side note, like the new look on the site.